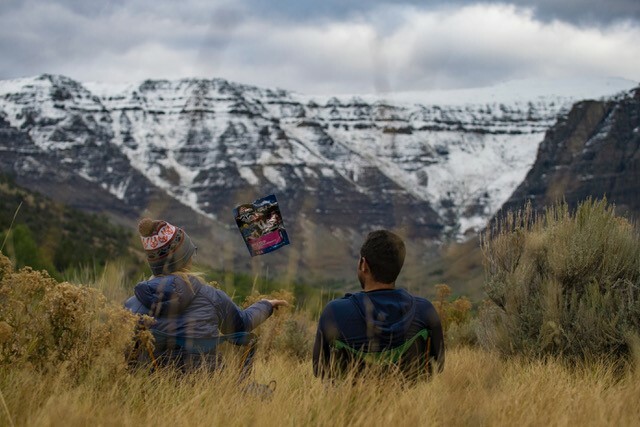 Oh autumn, we love you for the crunch of leaves beneath our feet, the cool and crisp air in our lungs, and the cozy promise of seasonal traditions, like fall hikes, holidays, and fireside meals with friends and family. At Mountain House we’ve been dishing up homestyle meals for 50 years. 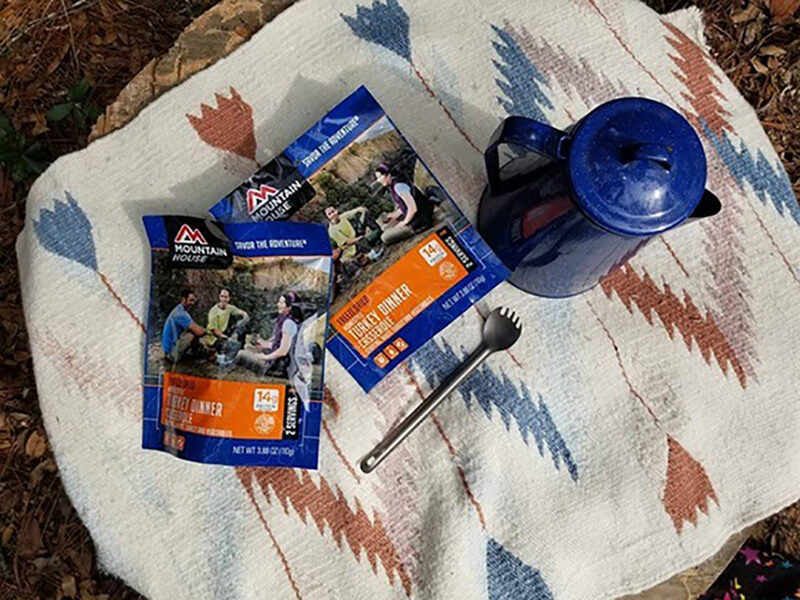 We hand-pick our ingredients with care in order to cook up comforting meals that can be enjoyed on or off the trail, and thanks to our unmatched freeze-dry technology, our meals can be enjoyed today, tomorrow, or 30 years from now! This latest addition to the Mountain House menu has become a quick fan-favorite. Our Homestyle Turkey Dinner Casserole is like Thanksgiving in a pouch. Just add hot water and in minutes you’ll be digging in to the savory goodness of real turkey, stuffing, and harvest vegetables. Whether you’re enjoying the holiday in the great outdoors, or just have a craving for this quintessential autumn flavor medley, we’ve got you covered (messy kitchen not required). The Homestyle Turkey Dinner Casserole is available on MountainHouse.com and from your favorite outdoor retailer. Winner winner Turkey Dinner! Read reviews here. This time of year often means more time spent with family and friends, which means more mouths to feed! 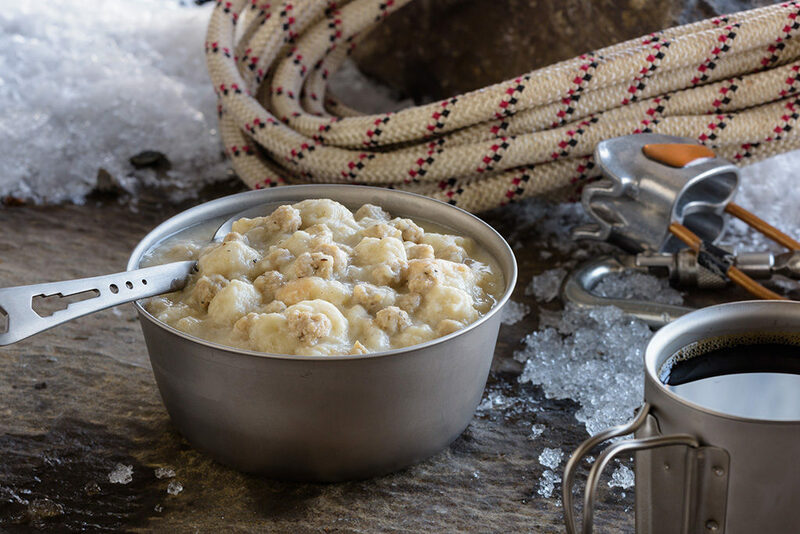 Gather your crew around the campfire or kitchen table and whip up 11 servings of the best Biscuits and Gravy this side of grandma’s kitchen. With fluffy buttermilk biscuits, real pork sausage, and a savory peppered gravy, it’s a #10 can chock-full of breakfast dreams! Just add hot water, and share the love. Read reviews here. Cool autumn evenings call for the warm, cinnamon-goodness of our Apple Crisp. 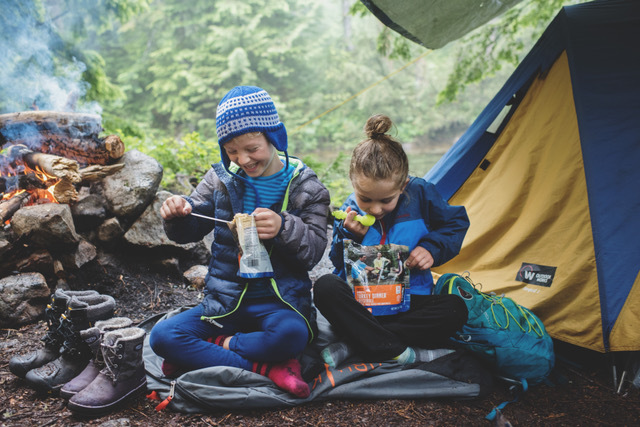 Or if your sweet tooth kicks in on a woodsy hike where hot water isn’t close at-hand, dig into ready-to-eat nibbles like our classic Ice Cream Sandwich. And if you’re in charge of bringing dessert for the masses, there’s nothing easier (or tastier!) than a #10 can of our Raspberry Crumble, 12 just-add-water servings of chocolate cookie crumbles and delectable raspberry sauce. It’s the sweetest time of the year, and Mountain House is here to fill up hungry bellies with tasty and reliable fall favorites, so you can spend more time filling up the memory bank with friends and family.